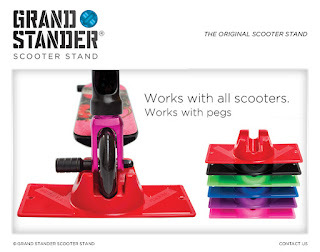 Our first product arrived this week - GrandStander Scooter Stands. They are fantastic. Keeps scooter from falling over and doing damage to it and the stuff around it - walls, the car, the cat. 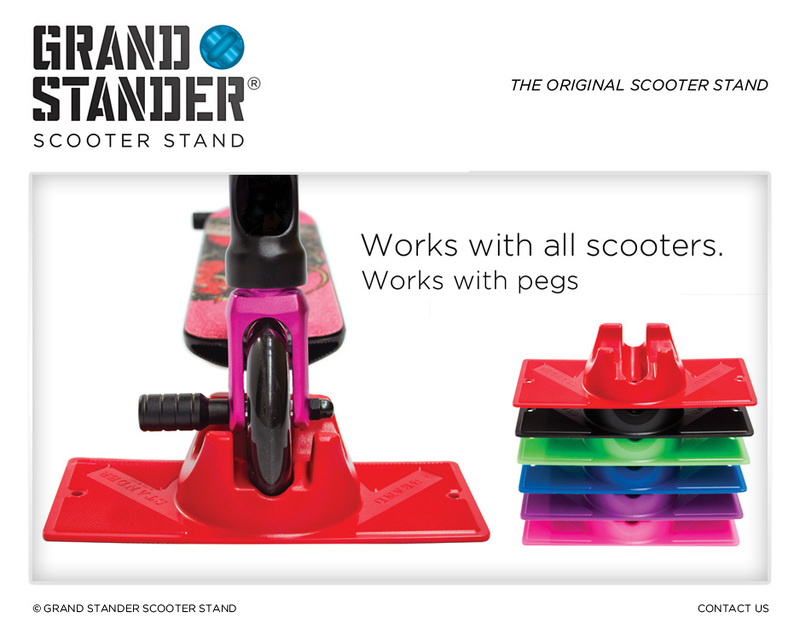 The come in a bunch of colors and will be available in the Shop or on-line.